People born in the Year of the Dragon are often said to be smart, ambitious, passionate, and above all else, auspicious to their family. Believing in the blessings that Dragon babies bring to the family, Asian countries like Singapore, Hong Kong, China, and Malaysia have experienced spikes in birth rates during Dragon years, despite experiencing a decreasing birth rate trend . 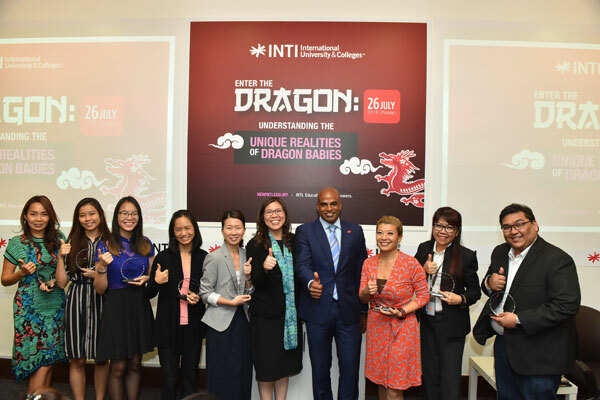 Malaysia, in particular, has consistently seen a spike in live births during the years of the Dragon, drawing economic and educational concerns about upcoming generations, particularly those stepping into higher education this year. To understand the underlying impact of the Dragon babies and their unique disposition in Malaysia, INTI International University & Colleges (INTI) commissioned a first-ever survey of more than 315 respondents, comprising of Dragons (aged 18 and 30 years old this year) and non-Dragon individuals, through a series of in-depth interviews and quantitative surveys. The survey sought to understand what defines Dragon babies and whether they are different from other zodiac individuals – setting the stage for what higher education institutions and organizations should know in preparing for the influx of a unique group of students and future professionals. To further deliberate the survey findings and understand Dragon babies in Malaysia, INTI organised two panel sessions with Lin Nah and invited guest speakers, including: Charis Wong, Director, KIN & KiDS Marriage, Family and Child Therapy Center; Nancy Yeoh, Consultant, Joey Yap Consulting Group; Nur Jeevan Guna Segar, Managing Director and Founder of Entity Digital Sdn Bhd; Danielle Chai, Advance 2 Foundation in Dance from the Royal Academy of Dance; Amanda Siew Yen Kai, American Degree Transfer Programme from INTI International College Subang; and Denise Solosa, a full time mother (Danielle’s). Addressing what makes Dragon babies unique, the panellists explored the characteristics commonly attributed to Dragons, their own personal experiences, and whether Dragon babies are a product of cultural beliefs that led to a self-fulfilling reality. Past studies referred to during the discussion suggest that Dragon babies do better in education , leveraging on their competitive drive and building on a heightened level of commitment from parents to ensure their Dragon children succeed in life , to which the panellists shared mixed opinions. The study showed that Dragon babies are very driven to advance their status in life, either to achieve financial security and material possessions (ranked by 95% of 30-year-old respondents and 41% of 18-year-old respondents), for career advancement (ranked by 41% of 30-year-old respondents, which was significantly higher than non-Dragons where only 25% ranked this as their goal) and to pursue further studies (ranked by 45% of the 18-year-old respondents). The study also found that almost half of the 18-year-old and 30-year-old respondents’ groups surveyed identified being hard working as the key contributor to their success. Rather than any in-born advantages, this seemed to suggest that even if Dragon babies believe that they were “born to succeed”, they realized that being hardworking is still a key determinant to success in life and appear willing to put in the effort in order to achieve their goals. Surprisingly, given the cultural perception and expectations on Dragon babies to succeed, non- Dragon respondents experienced higher familial expectations than their Dragon counterparts in this study, particularly in having good career achievements (29% from non-Dragons versus 18% from Dragons), although Dragons are ranked with higher expectations to be financially secure (10% for Dragons versus 5% from non-Dragons). Despite the large Dragon cohorts, 64% of the 18-year-old respondents were confident in their ability to secure jobs after graduating, contrary to INTI’s 2015 survey on Gen Z which revealed that 56% of Gen Zs’ are concerned about not getting jobs after graduating. 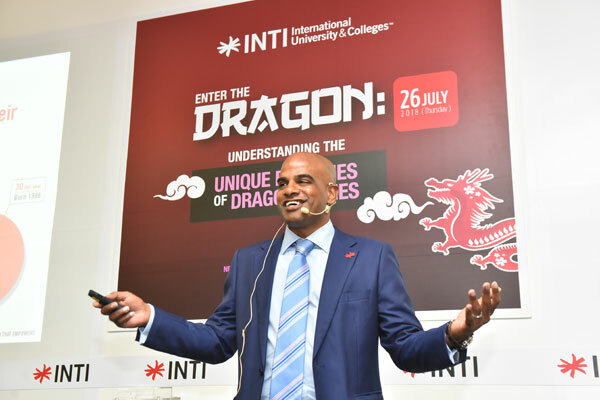 There were still concerns raised by Dragons in entering the workplace however, including the inability to get along with colleagues (14%), having a job that may not meet their expectations (13%) and low salaries (8%). The survey also revealed that all three respondent groups ranked communication, problem solving and teamwork as the three most important skills to thrive in the workplace. However, all three groups ranked digital skills as one of the least important skills, contrary to INTI’s 2016 survey on the dichotomy between employers and graduates, which found that digital literacy is regarded by employers (30%) as the most essential skillset for today’s workplace. As an institution committed to outstanding graduate outcomes, INTI recognises the need to understand the nuances of younger generations and to reinvent its educational approach to equip young professionals with the skills needed to thrive in the jobs of tomorrow. As the spike in Dragon birth rates signals stronger competition for academic achievements and job placements, this survey serves as first steps into what relevant parties could do to adapt and empower the next generation workforce.